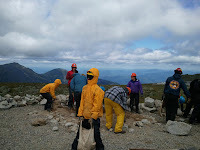 During the third week of the AMC/Berlin JAG Trails Program the students had the unique opportunity to work above tree line on Mt. Washington. 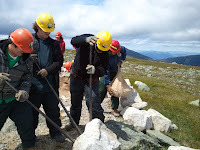 Partnering with the Mount Washington Auto Road and the White Mountain National Forest these students helped to construct a series of rock scree walls on an area of the mountain known at the Cow Pasture. The wild weather, winds, and cold were no match for the energy and enthusiasm of the students. Large rock were delivered and the students and AMC and WMNF Trail Crew leaders got to work constructing the walls to prevent damage to the fragile alpine ecosystem on the mountain. Many of these students have never been up the Mount Washington Auto Road or have had the experience of being above tree line, even though they live so close. Needless to say, this opportunity was eye opening. It was more than just the view that impressed the students. They could not believe the visitation to Mount Washington from visitors all over the country and all over the world. All of these people coming to see something these students had taken for granted. Getting a chance to bring Ms. King, the Berlin JAG Youth Specialist, up Mount Washington to visit with the students was fantastic. She was surprised and happy to see so many smiles on the faces of the students; truly an excellent opportunity. After this week of working among the clouds, I am sure these students will never look up at the mountains the same way again. 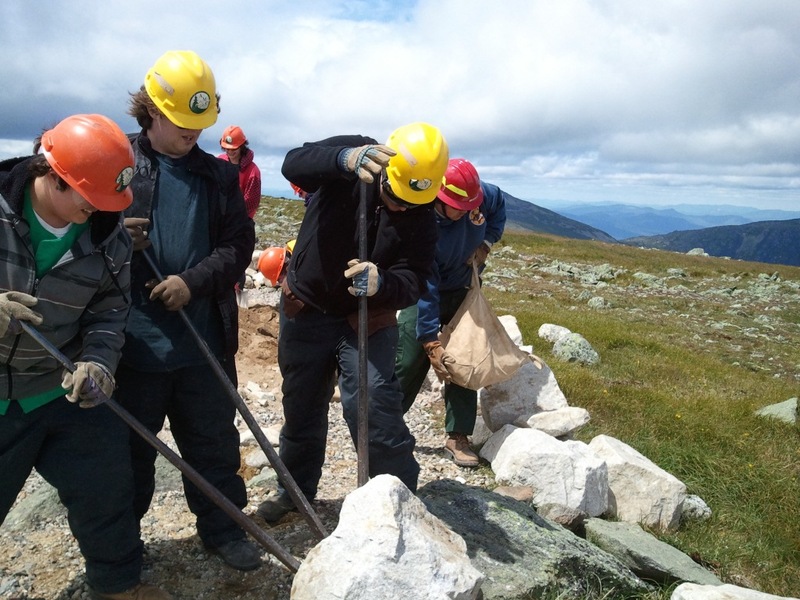 Their work will last for decades and will serve to protect the unique and fragile alpine environment on Mount Washington.